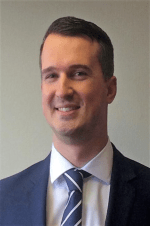 Dan trained and qualified as a Chartered Accountant with Hawsons at the Sheffield Office, joining in 2012 before moving to the Doncaster Office in 2018. During his time at Hawsons he has gained a range of experience providing audit, accountancy and taxation services, including Solicitors Regulation Authority audits. Working with corporate entities, sole traders and partnerships, he is able to advise clients on a wide range of business matters. Away from the office Dan has been a regular member of the firm’s cricket and football teams, he also has a keen interest in rugby and can often be found watching Doncaster Knights down at Castle Park.